Project Gypsy is your one stop solution for all things outdoor be it for gear, tips, and also trips! 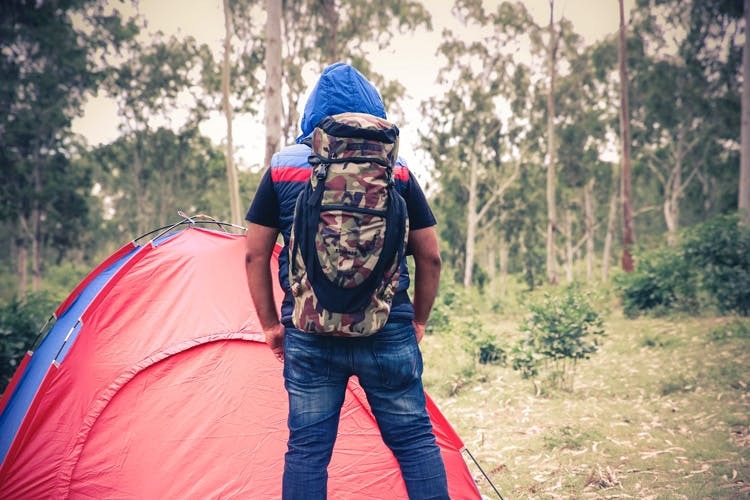 From torches and biker kits to jackets and tents, they have it all. For those of you whose life is always on the go and away from the city be it on foot or on wheels, Project Gypsy stocks up all you need for a night under the stars, around the campfire in the hills (and on the way!). A section of the store is dedicated entirely to bags from brands like Wildcraft, Jansport and Quechua as well as their in-house brands, specifically for camping, biking, and any outdoor activity - come rain or sunshine. Perfect to stuff in all your stuff, plus bits and bobs. Also find jackets (both for the cold and rain), themed t-shirts, outerwear and, a limited collection of footwear. They also stock camping basics like torches, rappelling hooks, caps, whistles, and kits to hold them all. Bikers (and owners of two wheelers) can pick up cool helmets for your next trip, or pillion rider. Outdoor enthusiasts and bikers themselves, they also organise trips and know their way around popular biking and hiking routes, so you can plan, shop and stock up for your next adventure with them.